We share a church building with New Hope Community Church at 5600 S. Biscayne Drive, North Port, Florida, 34287. Our pastor’s cell phone # is (941) 421-8163 – Ask for Pastor Arnold Brevick. If you come to our church you almost have to travel on Hwy 41. We are off 41 on S. Biscayne Dr., we are easy to find. If your are traveling north toward the church (from the south) the church is on the right. If you are coming south (from the north) we are on the left side of 41. 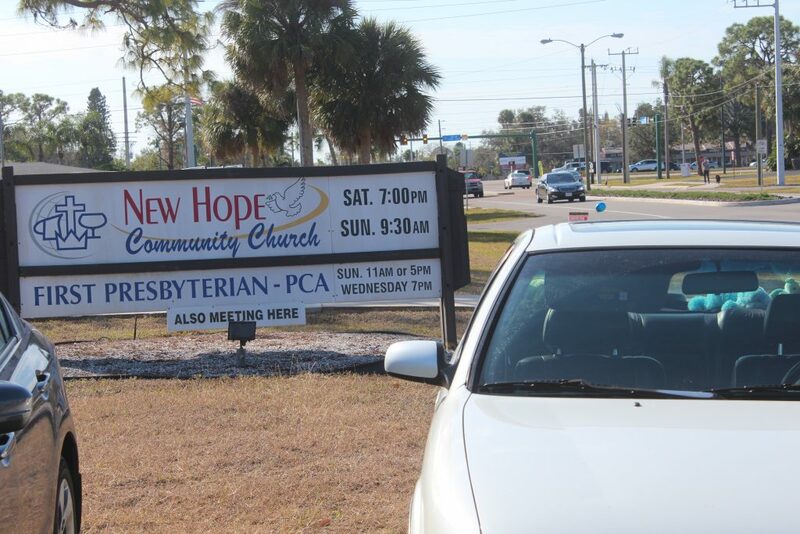 As soon as you turn you will see our church on the right, the sign says New Hope & First Presbyterian, you cannot miss it!